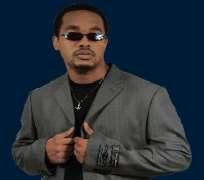 Nonso Diobi is one of top upcoming actor in Nollywood. He has featured in a number of Nollywood movies since he arrive in the scene. "It's like a dream come true," said Nonso Diobi, 21 (as at 2002), who had snatched one of the lead roles in "Blackmailed" only two months after leaving his home in southeastern Nigeria for Surulere, here in the country's commercial capital. "This is where it all happens, where all the stars are who make big money because they can sell movies. I'm not a big star yet. But when I am, I will fix a big price."